of a window by the bed. Malachi Black is the author of the poetry collection Storm Toward Morning (Copper Canyon Press, 2014). His poems appear or are forthcoming in AGNI, Boston Review, Gulf Coast, Harvard Review, Narrative, Poetry, Ploughshares, and The Southern Review, among other journals, and in several recent anthologies, including Before the Door of God: An Anthology of Devotional Poetry (Yale U.P., 2013), Discoveries: New Writing from The Iowa Review (Iowa Review, 2012), and The Poet’s Quest for God(Eyewear Publishing [U.K.], 2014). The recipient of a 2009 Ruth Lilly Fellowship, Black has since received fellowships and awards from the Bread Loaf Writers’ Conference, Emory University, the Fine Arts Work Center in Provincetown, the MacDowell Colony, the Sewanee Writers’ Conference, the University of Texas at Austin’s Michener Center for Writers, the University of Utah, and Yaddo. 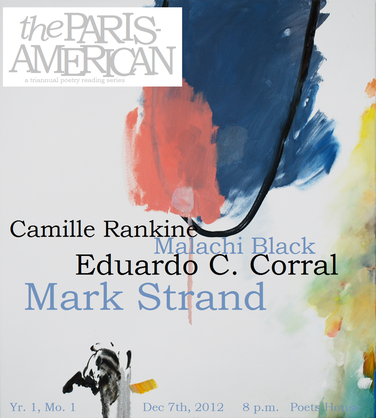 Black was the subject of an Emerging Poet profile by Mark Jarman in the Fall 2011 issue of the Academy of American Poets’ magazine, American Poet, and his work has several times been set to music and has been featured in exhibitions both in the U.S. and abroad. He is Assistant Professor of English and Creative Writing at the University of San Diego. For more information, visit www.malachiblack.com.